You are at:Home»Society»Crime»May 22, 1176: Who is the Most Famous Kurd in History? May 22, 1176: Who is the Most Famous Kurd in History? On May 22, 1176, The Hashshashin (Assassins) made an attempt on the life of Saladin, the First Sultan of Egypt and Syria. The attempt failed, and Saladin, a Kurd and a Sunni Muslim, continued his reign until his death in 1193 of fever at the age of 56. Kurdish by ethnicity, Saladin was the founder of the Ayyubid dynasty and ruled what is now Egypt, Syria and Yemen along with the West coast of the Saudi Arabian Peninsula and Upper Mesopotamia (parts of Northern Iraq, Northeast Syria and Southern Turkey). Saladin is probably the best known person of Kurdish ancestry in History. 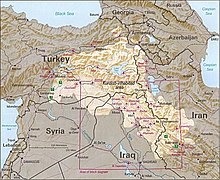 Kurds are an ethnic group related to the Persian/Iranian people, and mainly occupy an area that can unofficially be referred to as Kurdistan, covering areas of modern day Northwest Iran, Northern Iraq, Southern Turkey and Northwestern Syria. Kurds do not have their own country and are treated as second class citizens within the countries the 30 to 45 million of their number reside in. Most Kurds live in this “Greater Kurdistan” region, though an increasing number have fled as refugees to Europe and North America. Although most Kurds are Sunni Muslim, there is more religious diversity among Kurds than there is among other nationalities in the Middle East. In recent decades Kurds have repeatedly campaigned to have their own homeland carved out of the countries currently overlapping Kurdistan and have been foiled at every attempt. The civil war in Syria and the wars in Iraq have brought tremendous hardship upon the Kurdish people. Host nations have consistently cracked down on Kurdish nationalism with great brutality. Saladin was born in what is now Tikrit, Iraq around 1137. His given name was Yusef, with the “Saladin” name deriving from an honorific title (“laqab”) “Salah ad-Din.” Saladin went about carving out a considerable empire in the Middle East and North Africa, fighting and conquering many Muslim held cities and regions, including a campaign against the Assassins in 1175-1176 in which Saladin failed to take over the mountain fortresses he had attacked. The details of the attempted assassination of Saladin vary with the source, including a note left at his bedside pinned by a poisoned dagger telling him to quit his campaign against the Assassins. After successfully conquering much of the region, Saladin turned to the lands occupied by the Christian Crusaders, known as “Crusader States” in 1182. (Note: Cleveland used to have a professional hockey team in the World Hockey Association called The Cleveland Crusaders.) By 1187, Saladin had taken the Kingdom of Jerusalem from the Crusaders after a siege in which Saladin had originally offered generous terms if the Frankish Christians would surrender without a fight. The Christians refused and swore to lay waste to the city and Muslim holy places (such as The Dome of the Rock and the Al Aqsa Mosque), as well as murder 5000 Muslim hostages if Saladin did not give quarter after the battle. An agreement was reached, whereby non-combatants were permitted to leave Jerusalem unharmed. 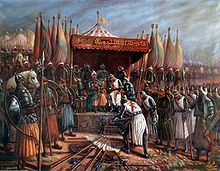 Saladin’s successful ousting of Christian Crusaders from the Holy Land prompted the Third Crusade, with King Richard the Lionheart of England as a main Christian leader from 1189 to 1192. Richard and the Third Crusade were partially successful in retaking some of the cities in Palestine but failed to reconquer Jerusalem. Richard attempted to reach a sort of alliance through marriage with Saladin, offering his sister to Saladin’s brother in marriage. The nuptials were refused, but an accord was reached allowing Christians to retain some of their holdings and allowing Christian pilgrims to peacefully and freely have access to holy places in and around Jerusalem while Saladin’s forces retained ownership of the city. Richard returned to England, and shortly afterwards Saladin died of a fever. Saladin had given away so much of his fortune to the poor people of his lands, that no money was available for any sort of grand funeral. Saladin was buried in a mausoleum outside the Umayyad Mosque in Damascus, and his sarcophagus can still be visited there to this day. Kaiser Wilhelm II of Germany (1859-1941) donated a more grand marble sarcophagus to replace the wooden one, but instead of replacing the original, the new sarcophagus was instead placed directly next to the old one. Saladin retains a legacy of having been an honorable and chivalrous foe to his Muslim enemies and his Christian opponents, capable of diplomacy as well as making war. Christian leaders such as King Richard thought highly of Saladin and accorded him the respect of a great leader. 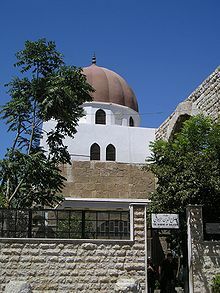 Among Muslims, Saladin has taken on a mythical status as the defender of Islam against Imperialist European Christians. Most of today’s Islamic world conveniently seems to forget Saladin’s Kurdish ethnicity, though of course among Kurds his memory is revered. Hindley, G. Saladin: Hero of Islam. Pen and Sword, 2010. Man, John. Saladin: The Sultan Who Vanquished the Crusaders and Built an Islamic Empire. Da Capo Press , 2016.